The third installment in the Thor series for Marvel Studios, Thor: Ragnorok, is currently filming and is slated for release in November of 2017. News surrounding the film has been abundant since its inception, getting fans of Odinson and the Marvel Cinematic Universe in general really excited for the closing chapter of the trilogy. If reports are to be believed, this should prove Thor’s biggest movie yet, and one of the biggest to come out of the entire MCU up until this point as well. 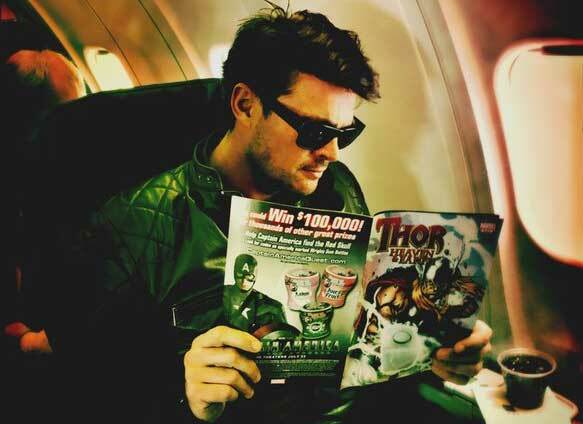 Karl Urban, of Dredd and Star Trek fame, was cast to play Skurge, also known in the comics as Executioner. Both the casting of Urban and the inclusion of the Agardian character into the film have garnered eager anticipation, and today Karl took to twitter to provide an update on his filming on set. It looks like they have finished filming all of Urban’s scenes as Skurge! His shout out to Marvel and director Taika Waititi looks to be his celebratory farewell to share with fans on social media. Just exactly what his character will be doing in the upcoming Thor film is still unknown, as are most of the plot’s details. As 2017 gets nearer, though, we should find out more about the story and Karl Urban’s character within it. Thor: Ragnarok is scheduled for release in theaters on Novermber 3rd, 2017. Is it just me, or does Taika Waititi get more masculine every time we see him? I remember the dorky Taika from “What We Do In The Shadows,” but this new Taika looks like an Australian-Rules Rugby player.